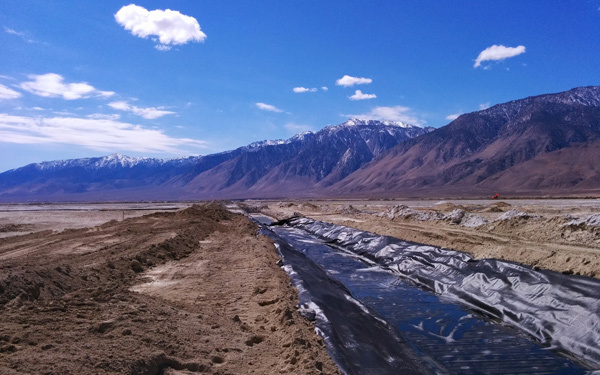 Slopes and berms are constructed to control water distribution for shallow flooding. Over 40 miles of roads and berms will be constructed during Phase 7A. Gravel Cover controls dust by limiting movement of particles across the ground’s surface. Permanent geotextile fabric provides a substantial foundation under the gravel. 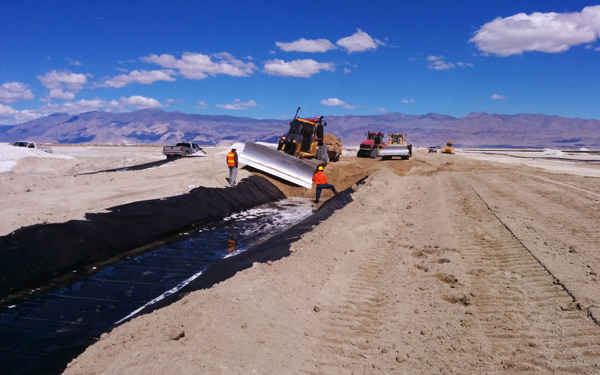 Over six million square yards of geotextile fabric will be installed on the lake bed during Phase 7A of the project. A network of turnout stations and conveyance piping carry water for shallow flooding. Over 375 miles of 2- to 22-inch HDPE conveyance piping will be installed during Phase 7A. 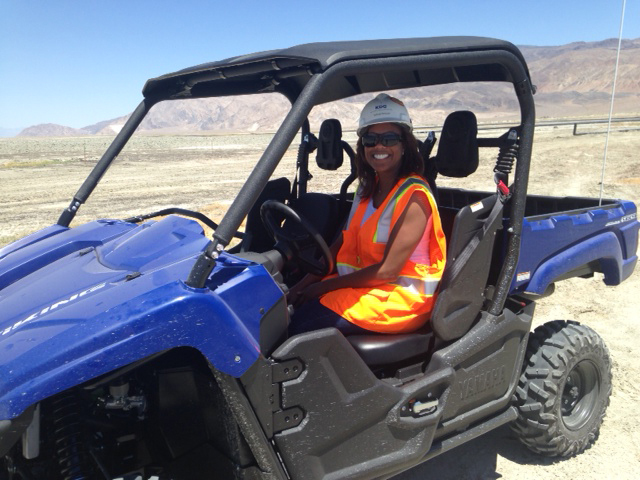 KDG’s Assistant Resident Engineer, Shelia Taylor, on site at the Owens Lake bed. 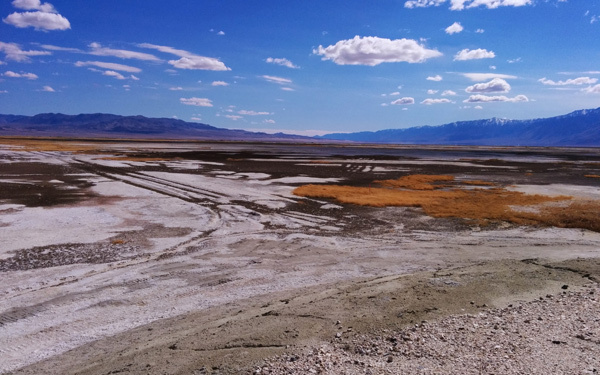 During Phase 7A of the Owens Lake Dust Mitigation Program, a majority of the work completed included the implementation of shallow flooding, hybrid vegetation and irrigation, and gravel techniques to address dust over a total area of 6.1 square miles. New visitor access features were also constructed on the site for the first time. Related work included the construction of pedestrian turnouts, habitat viewing areas and approximately 2 miles of pedestrian raised walkways. The 3 year phase was completed October 2016. 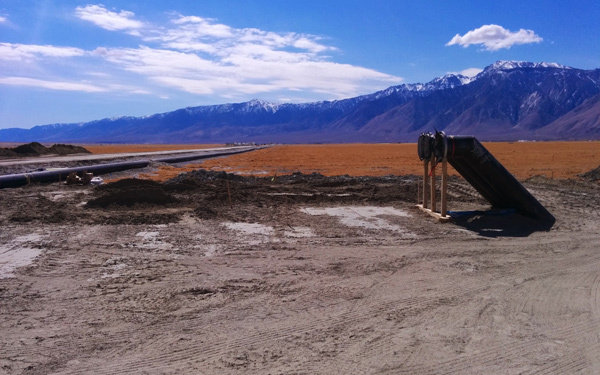 KDG currently serves as the prime construction manager during Phase 7A of the Owens Lake Dust Mitigation project. Our dedicated project team consists of resident engineers, inspectors, project control staff, technical specialists and safety professionals. KDG works in conjunction with LADWP to coordinate and supervise all construction activities. Our staff is also responsible for schedule and cost control of the construction contract, as well as processing change orders, pay applications and tracking construction progress. Our quality assurance and safety staff oversee all onsite quality inspection supervision, site safety, reporting and monitoring of the contractor’s quality control program.